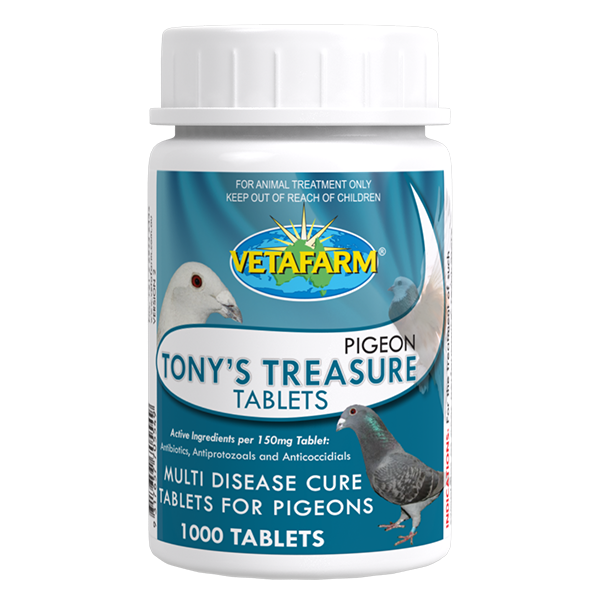 Tony’s Treasure Tablets are a unique combination of powerful ingredients designed to treat a range of diseases in pigeons where exact diagnoses are not possible. Tony’s Treasure Tablets will NOT treat viral diseases. 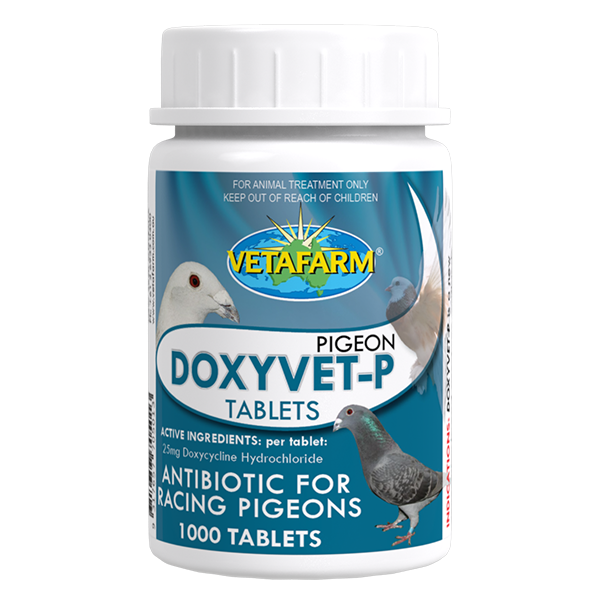 For the treatment of such symptoms as poor performance, respiratory distress, canker, sinusitis, air sacculitis, enteritis, diarrhoea and weight loss. 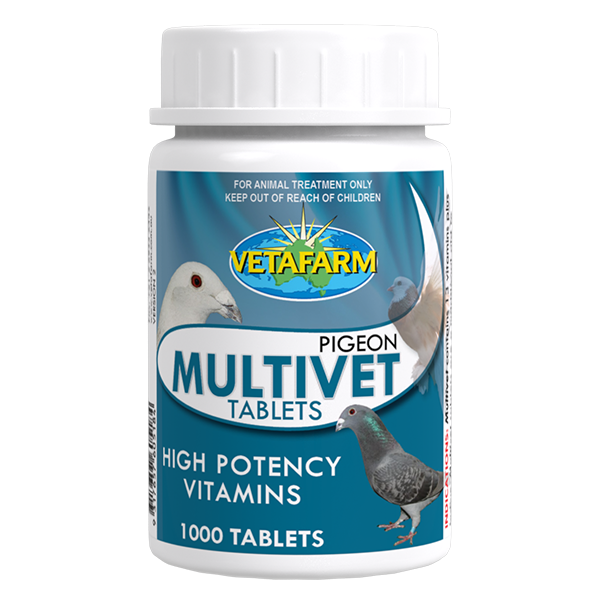 Give one tablet daily for 3 – 5 days or until the bird recovers. Maximum treatment 10 days. 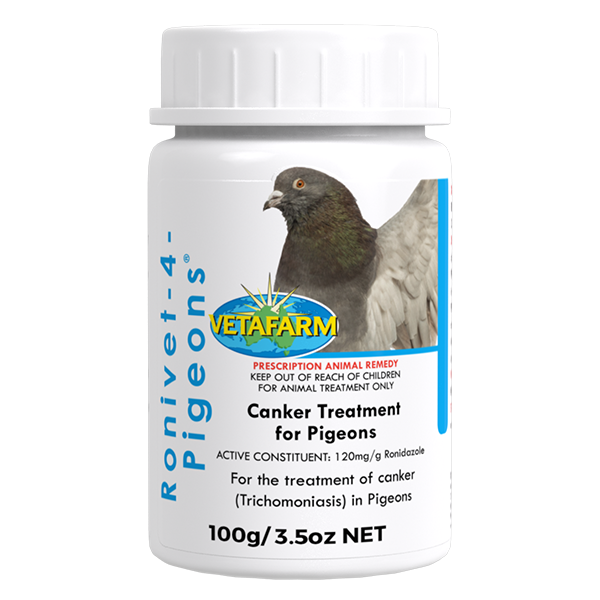 In-water canker treatment for pigeons. Tablets providing high potency vitamins and iodine.